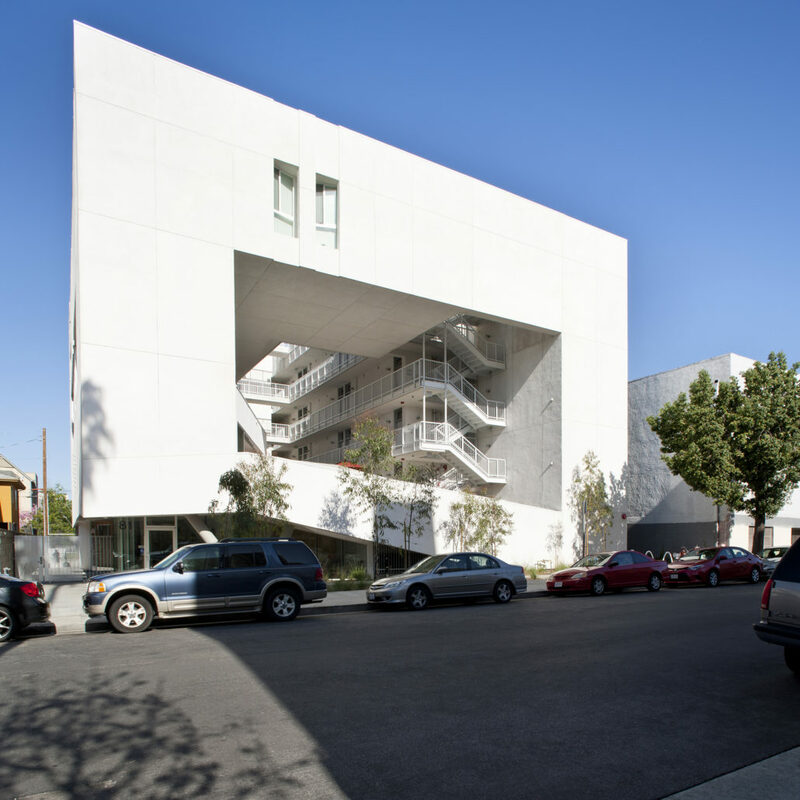 Skid Row Housing Trust’s The Six, a permanent supportive housing property designed by Brooks + Scarpa for formerly homeless individuals and veterans in MacArthur Park, receives the 2017 Institute Honor Award from the American Institute of Architects (AIA) at the AIA Conference on Architecture in Orlando, FL today. The Institute Honor Awards are AIA’s highest recognition for excellence in architecture, interior architecture and urban design. Selected from roughly 700 submissions, The Six is one of 23 recipients located throughout the world that are being honored this year. It is the only project selected in Southern California. The Six will also receive a 2017 AIA Housing Design Award, which celebrates homes that combine beauty, safety, and sustainability. 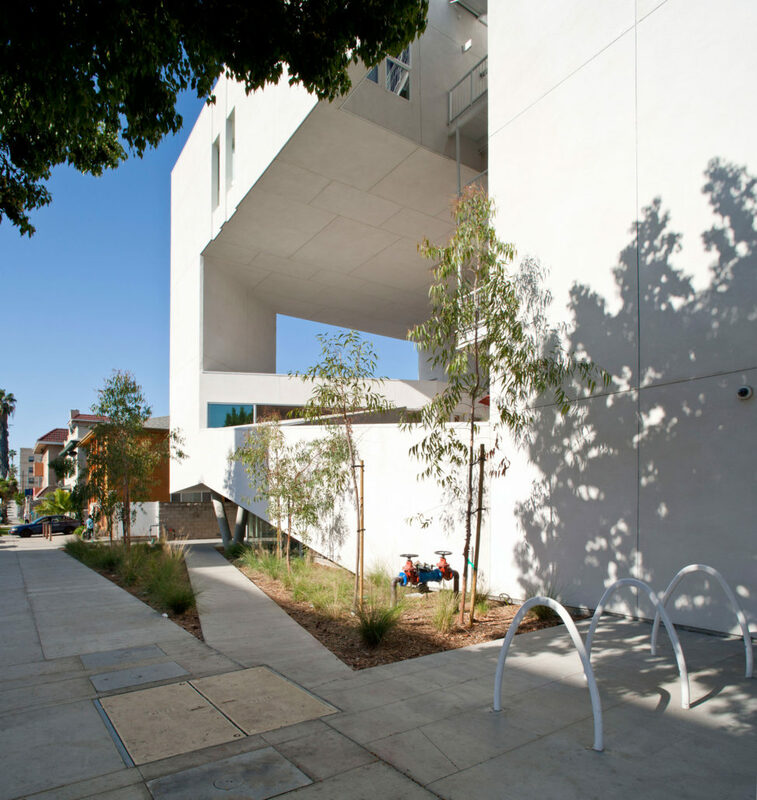 The Six is specifically recognized for affordable housing design that meets the specialized needs of residents. 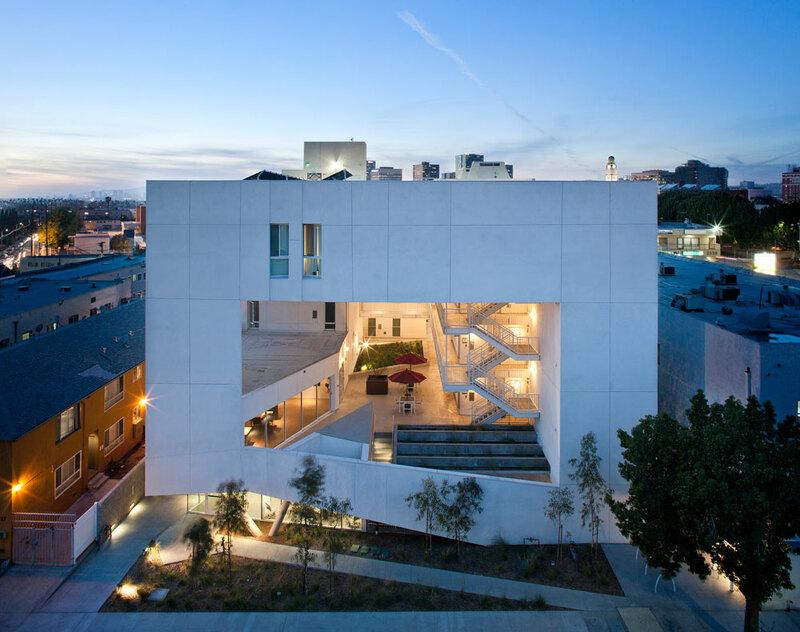 “The Six was designed from the ground up to facilitate healing and community both within and beyond the building’s walls,” said Mike Alvidrez, CEO of Skid Row Housing Trust. The Six offers 52 beautiful, safe, and supportive homes to individuals who have experienced homelessness, with 18 of them set aside specifically for veterans. In the military, “got your six” means “I’ve got your back.” Brooks + Scarpa’s innovative design thoughtfully balances privacy with opportunities to connect with the community. 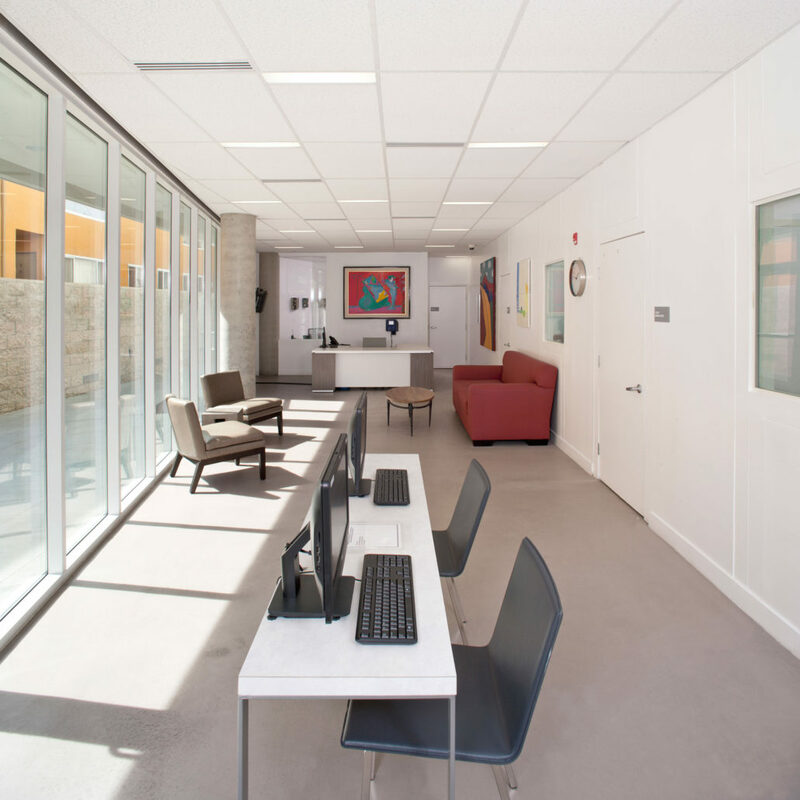 The Six has onsite supportive services and 24-hour property management on the ground floor, and a spacious courtyard and community rooms on the second floor that offer peaceful respite and space for social gatherings. 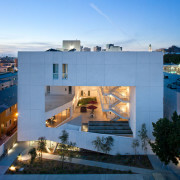 A bridge on the fifth floor spans the front of the courtyard, a gesture that helps to bring the scale of the building down to a more pedestrian level, and heightens the interior-exterior connectivity of the courtyard and streetscape. Incorporating energy-efficiency measures that exceed standard practice, including passive design strategies that maximize natural light and airflow, The Six received LEED Platinum Certification from the U.S. Green Building Council. You can read more about The Six in Co.Design. Your building designs are beautiful, and SRHT is so deserving of recognition. Your contribution to helping the indigent, and those in need of shelter, services, and a hand up, is beyond words to express such devotion to many feeling left behind. You’re an organization that inspires me to volunteer to help others. I was also impressed with The Hilton Fund and their mission. 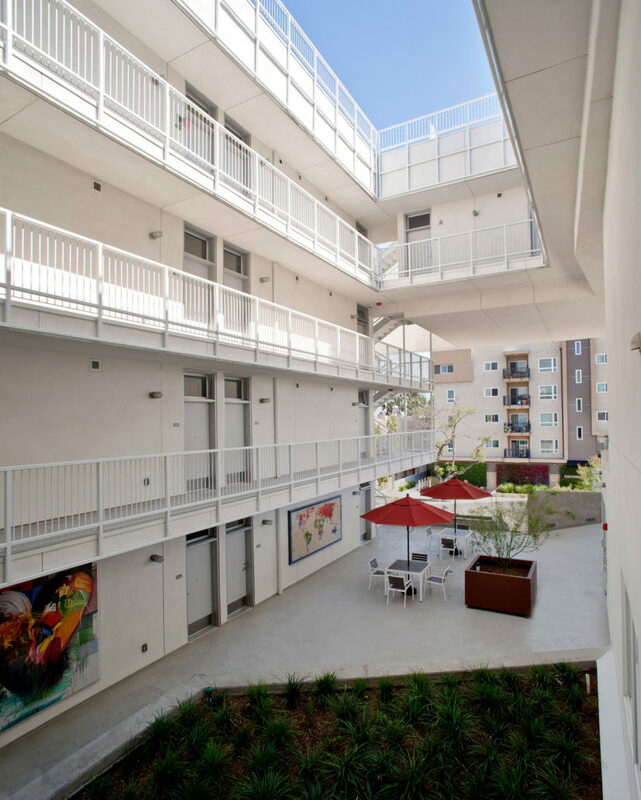 I will be at the Crest Apt (Van Nuys) Open House Celebration on May 31st, so excited to join in a new beginnings stories for the 64 units..